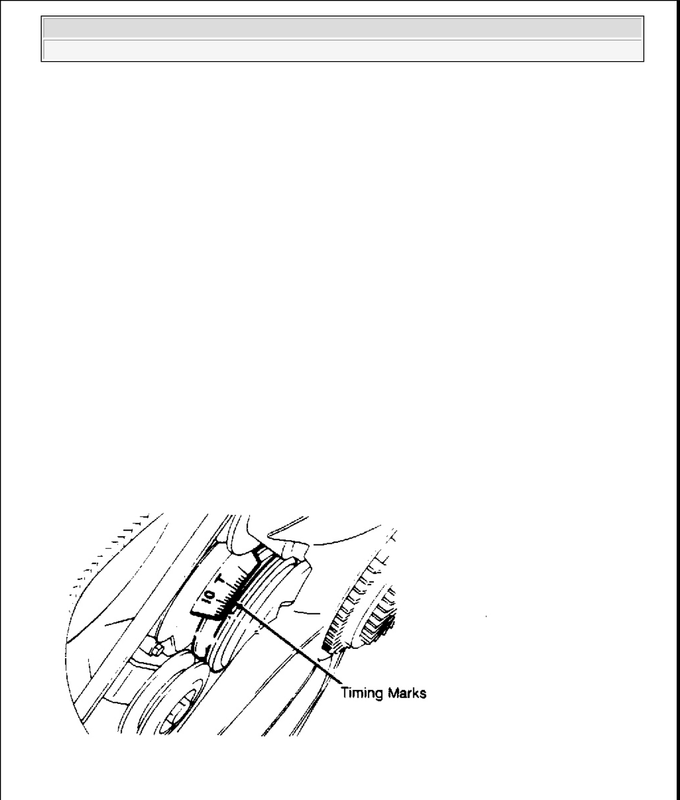 NOTE: Before adjusting ignition timing, warm engine to normal operating temperature. Turn off all accessories. Place transmission in Neutral (M/T) or Park (A/T). (CAS) lock bolt. Rotate distributor or CAS until timing marks are aligned. Sunday, July 05, 2009 1:20:20 PM Page 1 © 2005 Mitchell Repair Information Company, LLC. Sunday, July 05, 2009 1:20:24 PM Page 1 © 2005 Mitchell Repair Information Company, LLC.